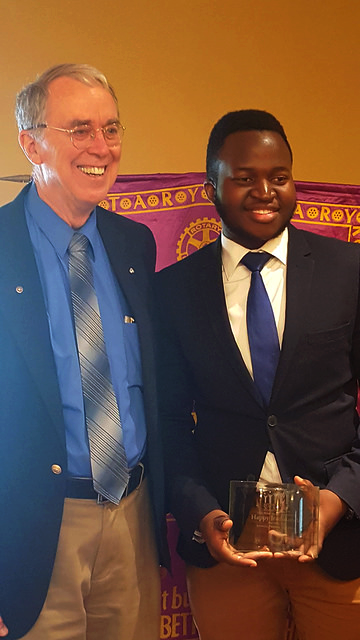 Happy Iradukunda, winner of the 'Don Boyer Memorial Scholarship' STRIVE Award and his mentor, Tim McCrate. 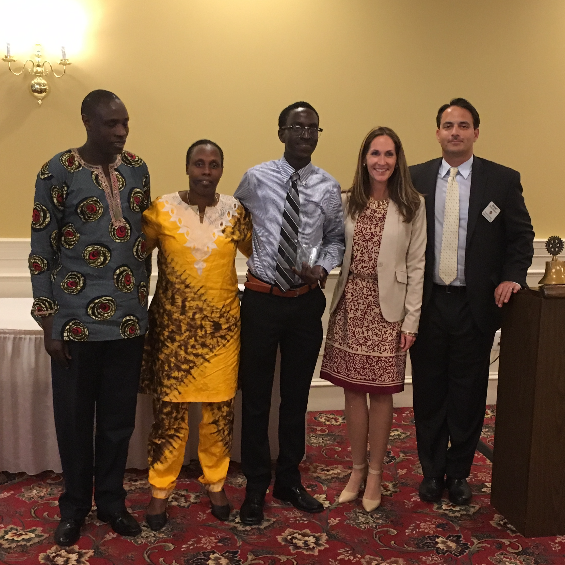 Patrick Rwiyereka (Center) proudly accepts his STRIVE Scholarship award with his parents, teacher and Rotary mentor, Brad Balsom. 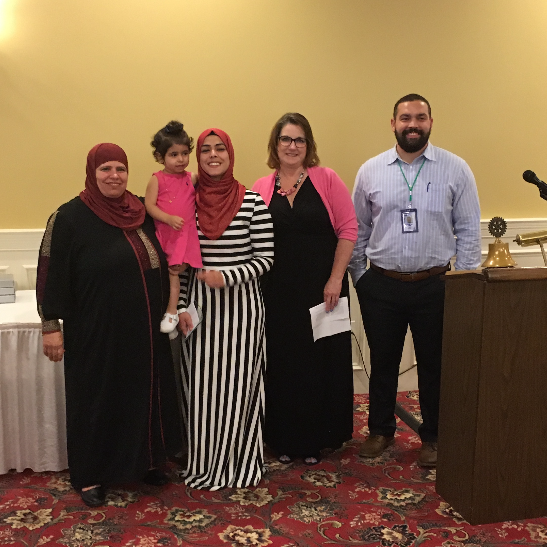 Rawan Shalash (center) celebrates her STRIVE scholarship with her mother, niece, teacher and Fairmont counselor, Victor Colon. 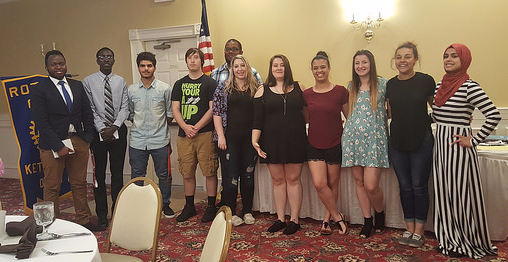 Her mentor, Dave McEwee could not attend but had Mr. Colon read a heart felt congratulations on his behalf. 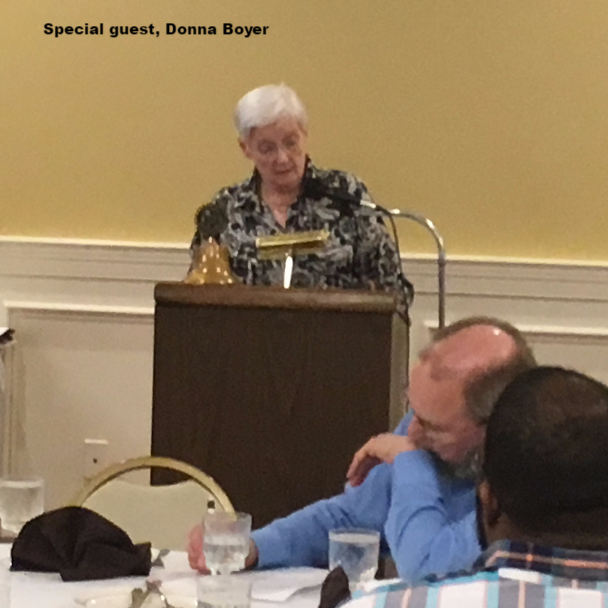 Our club had the honor of having Don Boyer's widow, Donna, help with the celebration. Don was a long standing Rotarian who helped to develop the STRIVE program. His legacy lives on with each scholarship and in the hearts of each Rotary member. STRIVE STUDENTS! CONGRATULATIONS ON YOUR GRADUATION!